Media Spotlight – A monthly review with the freshest culinary insight! All of our spotlights are inspired by Menu Innovator®. 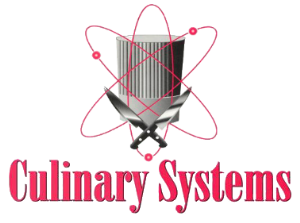 For more information on Menu Innovator, email tlagana@culinarysystems.com. The winter months are slow, stretching on with dull gray, drab days – apparently winter hasn’t taken its toll on the kitchen! Gather around the table for bold flavors, the freshest produce, and an array of proteins to keep even the most selective diner asking for seconds. Today’s menu offers only the freshest produce for locavores, the most creative proteins for vegetarians, and an array of eclectic flavors for the indulgent diner. One thing is certain – drab is out! One of the most exciting shifts we see on the plate is in proteins, with chefs showing that they are so much more than meat. Five years ago, chefs made it clear that most everything, whether breakfast, lunch, or dinner, tastes better with an egg on it. Their yolks bring richness and their whites texture, and their flavor is agreeable with almost anything. Eggs have already become firmly established on our breakfasts, hamburgers, and fried, poached, and scrambled – topping our favorite pastas and soups. Now we see that they are just one of many non-meat proteins that stand out. Chef David Chang showcases an array of vegetarian proteins at Momofuku Noodle Bar with dishes like Hozon Ramen, with scallions, chickpeas, and kale. Hozon is a seasoning developed by Chang, resulting from fermented nuts such as cashews, grains, or seeds like lentils. In fact, nuts and seeds pack protein and Omega-3’s, and are gaining popularity as meat replacements. Spiced pumpkin seeds and cashew crunches, once a simple snack food, top salads and desserts. Milks and cheeses now come from almonds and cashews, proving that protein does not have to come from an animal to taste good and appeal to diners. Mediterranean flavors are making the old new again, as classics from the Middle East cross over to our favorite fine dining restaurants, bringing authenticity with them. Chefs make it clear that Greek ingredients are only a small part of Mediterranean cooking, as they slow cook Rose Harissa Braised Short Ribs at Levant, Pittsburgh, or spice poached egg-topped bruschetta with dukkah at Oleana, Cambridge, or add harissa from northern Africa to sauces and marinades. Spices like za’atar add layers of flavor to meats and a kick of complexity to vegetables without adding fat or salt. What makes this trend even more exciting is that is not just reserved for dinner. Middle Eastern spices and preparations are a hit for breakfast too. When chefs aren’t cooking up new spins on Mediterranean flavor, they dig deeper into classic American staples, fusing them to create high-impact flavor combinations like Tabasco salt. Tabasco adds heat while the salt pulls flavor, making them a powerful combination topping meats and potatoes. At The Breslin in New York, April Bloomfield fries boiled peanuts in pork fat, while Smalls in Chicago serves their bacon mustard for a strong flavor profile. Cheese also gets a makeover, with new American blends being created all over the country. The cheeses often highlight their region of origin with infusions of local ingredients such as honey, blueberries, and wines. With such an array of flavors and superior quality, cheese no longer has to be imported to be worthy of fine dining. One thing is certain, the cold of winter hasn’t slowed things down in the kitchen! January isn’t just the beginning of a new year, it’s also a time to discover new favorites. Meat stews, slow cooked in dynamic Mediterranean spices or caramel infused cheese with just the right amount of ooze and deliciousness are definitely a great place to start. While it may be cold outside, we’re having a picnic in the kitchen!